HuSH-29 retroviral vector with chloramphenicol and puromycin resistance markers and a TurboRFP gene, for expressing an shRNA from the U6 promoter. We offer a wide variety of inserts for this backbone. 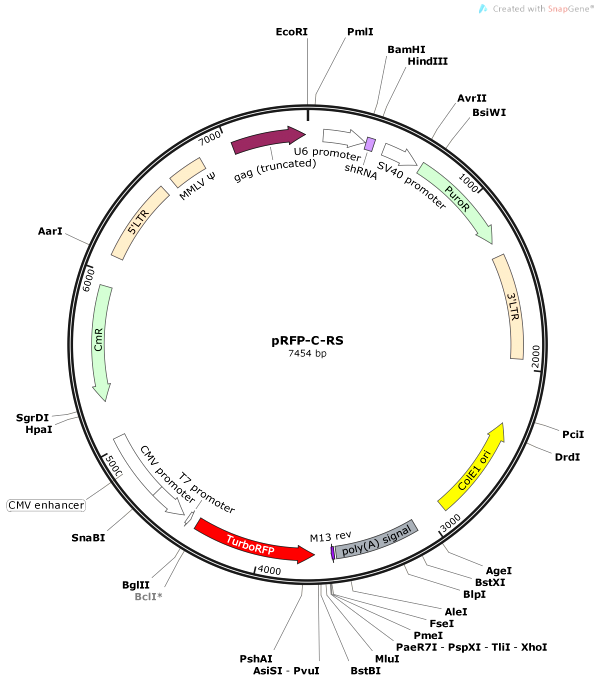 Search and compare our plasmid-based products.